Well, diehard readers of this column it's my first Spotlight after that devastating storm Maria, so welcome back. Though the patrons of Calypso really turned up at the Eliminations and were amused by "Maria taking wood all over the island" or commentary on Dominicans like 'Looting in a Line', as I predicted, we had one of our worst Eliminations in recent history; the compositions really did not promise much as they were in the main composed around Maria and also no new talent emerged. The inexperience of the composers showed; they should have anticipated this and produced more diverse compositions. The veteran Haxey seemed to have produced his best material in a decade and the other veterans, Checker and Third Eye, in their usual style, were easy picks to the next round. Shadow Flow, to my mind, presented the most thought-provoking social commentary that night. While there could be surprises, the rest of the season may just be lack lustre this year. Following up from the Eliminations, three of last year finalist: Daddy Chess, Webb and Janae will not be on show. The latter because of study commitments, the other two for reasons not yet ascertained. It is also possible that another may not make an appearance, but that is left to be seen. It's probably the 1st time in our Calypso history that so many finalists from a previous year will not participate for various reasons and so all the reserves from the Eliminations are in. 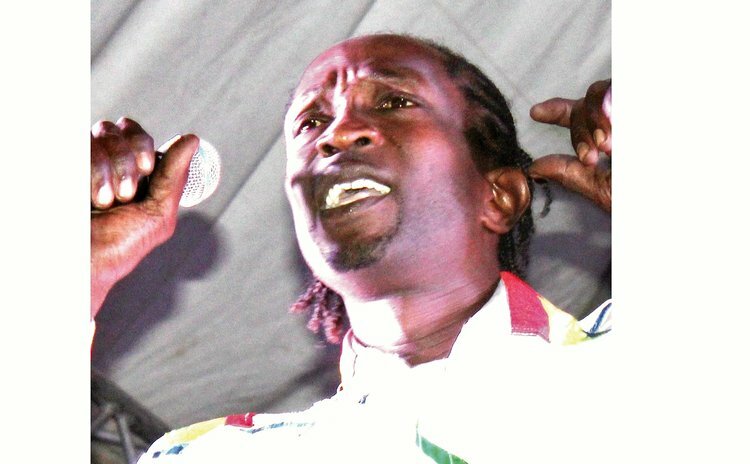 It is also the 1st time in decades since the band "Stylee" backed up Calypso, some three decades ago and that rehearsals are held at a new venue, away from the traditional Elmshall community because the 'Stars' band house, housed at band member, Phillip Horsford's residence, suffered some damage. The Calypso House at Bath Estate is now the rehearsal space assigned this year where calypsonians are in their final week before the Quarters this weekend, the 13th of January 2018 at the Newtown Savanah. The compositions then are expected to be of a much higher quality judging from what I have heard so far. Obviously some adjustments had to be made at rehearsals as the Stars has to tone down on amplification and instruments as the Kaiso House is located within the community of Bath Estate, a less secluded location than they practiced previously. Also the sound that emanates from the present location is not the best in terms of the echo which can be particularly disconcerting for the calypsonians. Nonetheless, practices seem to be going on just right in spite of it all. Some recording studios do face some challenges with respect to damaged equipment and power supply. Hence, this will obviously cause the releases for airing on radio to be much slower than usual. It is common knowledge that Rah Peters' equipment which has been involved in a few Calypso recordings in the past, suffered immensely as was Dada Lawrence's studio and the two most prolific with respect to producers and score writers of Calypso, Fred Nicolas experienced inconveniences at the hands of Maria and of course Peter Letang recording have been delayed due to lack-of-power problems. It would also not be surprising this year if there is no Mas Camp, even as Stardom struggles to a late start. Meanwhile, I leave you with the three verses of one of the songs expected this season, Observer's 'Hope Dominica'. Next week it will be the turn of the Sye and subsequently a few others as the season goes along.